Powerpoint: LCD projector (and plan for a backup if possible). It is not necessary to provide a computer. The presenter will bring a laptop. No need to provide a separate projector if the room has a built-in projector. A large screen (not necessary if there is a large clean wall surface for projection). If the room has multiple projection screens it is strongly preferred that there be one main screen in the center at the front of the room. CLIP-ON (lavaliere) MICROPHONE if group is larger than 25 (or if the room acoustics are problematic). Please RENT this equipment if it is not otherwise available. A quality system is, of course preferred, But if cost is a problem, this equipment can usually be rented for less than $100. And here’s why this is IMPORTANT: It is very easy to lose one’s voice speaking in front of a group for 5 or 6 hours without a good microphone. Try it sometime if you don’t believe me. A lost voice means all workshops for the next 3 days must be cancelled. Why is a clip-on microphone necessary and not just an ordinary hand held microphone? It is very difficult to work with pointers, remote slide changers and flip charts with a hand held microphone and cord. (It’s actually funny to watch though.) If you have any questions at all about this, please call. Hand held microphone for use by the participants for groups of 50 or larger. Two hand held microphones for groups of 100 or larger. No podium please (unless it is needed for other speakers. All that is needed is a single table at the back of the stage or at the front of the room. Audience tables can be set up classroom style (straight or angled), or in round tables (NOT U-shaped please.). For workshops with an afternoon session, participants will work around tables in groups of 5 or 6. LCD projector should be set on a rectangular table, NOT an AV cart, at the front of the room. Please place a copy of the workshop materials package given to participants on the front table. Pitcher of water and glass on front table, please. Extra credit will be given for arranging a pitcher of hot water, a small bowl of sliced lemon and an artificial low calorie sweetener (e.g. Splenda). This helps keep me from losing my voice…. many thanks. It is very helpful to have chocolate on the tables in the afternoon. It is also helpful (maybe even fun) to have modeling clay or stress toys on the tables in the afternoon. The following materials should be copied for distribution at the time of the workshop. Back to back printing is always preferred as a way to save paper. RBA Brochure either color or black and white printing. Click here. One copy of the Summary Evaluation form for each participant. These will be retained by the sponsoring organization. One page of flipchart paper and one or two markers is needed for each Turn the Curve group. (Divide total participants by 5 for a good estimate of this). Workshop organizers are encouraged to provide a copy of the book “Trying Hard Is Not Good Enough 10th Anniversary Edition” for each participant. The Results Leadership Group provides significant discounts for anyone organizing an RBA 101 workshop. Contact Adam Luecking at [email protected]. For workshops with an afternoon Turn the Curve Exercise (using population level indicators), sponsors may need to prepare actual baseline data for use by participants. See below under “Data Preparation.” Contact FPSI if you have any questions about what is needed. Participant list, with identifying information (including email addresses if permitted). Optional: Sponsors may wish to provide a certificate of completion for each participant. Click here for a Powerpoint file that can be printed onto certificate paper: RBA 101 Certificate of Completion. These can be signed by the trainer at the time of the training. Optional: Next Steps Form See note below. Consider issuing a press release about the RBA 101 event. Click here for a fill-in-the-blanks draft. Press coverage can help build the image of your organization and can help spread the word about RBA. Mark Friedman portrait photo for use in publicity material as necessary. Here is a text that can be used to introduce Mark at the beginning of the workshop: Please do not read the bio. Generally, the simpler the introduction, the better. Here is one possible introduction. 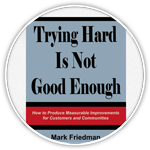 Mark Friedman is the Director of the Fiscal Policy Studies Institute in Santa Fe, New Mexico, a Senior Fellow with the Center for the Study of Social Policy in Washington DC and author of the book Trying Hard Is Not Good Enough: How to Produce Measurable Improvements for Customers and Communities. Mark has over 30 years of experience in public administration and public policy, including 19 years in senior positions with the Maryland Department of Human Resources. 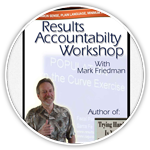 His Results-Based Accountability™ framework has been used in over 40 states and more than 15 countries around the world. What’s one thing I could personally do with what I learned here today? What’s one thing I would like to ask someone else or some organization to do to support this work? Then ask who wants to share….and draw out as many ideas as there is time….. It’s a good idea to ask someone to take notes (quietly on a note pad not on a flipchart), so that there is a record of the ideas offered. Then close with any announcements you want to make, thank you’s etc…. No advance preparation by participants is required. However, it is recommended that participants spend 20 minutes playing with the website: www.raguide.org. Click on the Index of Questions and find something that looks interesting. Results Accountability book: Trying Hard Is Not Good Enough is available from www.resultsleadership.org (best price and shipping times from this site) and www.amazon.com The sponsoring organization should advise participants about the availability of this book, and indicate if a copy will be provided to each participant at the time of the workshop. For the Community Population (e.g. all children, all elders) Turn the Curve exercise: The group will need 4 or more indicator baselines with room on the x and y axis for forecasting to 3 or years from the present year. 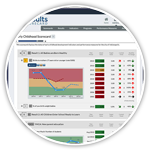 An existing Children’s Report card can be used if it provides multi-year data for 4 or more indicators. FPSI can assist in the preparation of population indicator baselines. For the Agency and Program Turn the Curve exercise (optional): Staff may bring a current list of performance measures and real data for at least one measure. Work days should not start earlier than 8:30 AM or end later than 5:00 PM, unless agreed in advance. If meetings are planned in restaurants or outside of normal work hours, please find a QUIET PLACE where normal conversational levels are possible, This may require advance reservation of private space. Whenever possible, luncheon menus should be arranged to provide for low fat food options. If possible, please provide decaf coffee with any coffee setup. FPSI provides several types of training (RBA 101, Training for Trainers and Coaches, Master Classes) and various forms of coaching and consultation. One thing Mark does not do is group “facilitation.” If this is what you need, it is best to hire a professional facilitator. 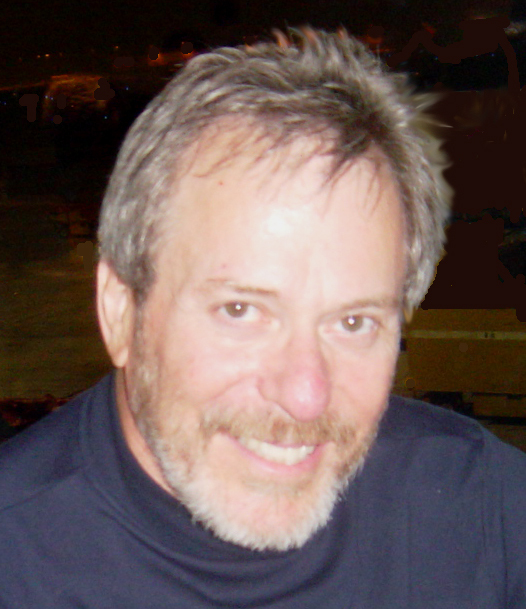 Mark sometimes teams with a group facilitator as a content expert. 2018 fee: One day: US$ 6,000 plus travel expenses. Fees are inclusive of all preparation and travel time. Fortunately this doesn’t happen very often, but articulation of a policy seems to be necessary for those rare occasions. Cancellation by the sponsor less that one month before the event is subject to a $1,000 per day fee plus the amount of travel costs that can not be refunded. Cancellation less that two weeks is subject to the full fee plus travel costs that can not be refunded. Waivers or reductions are at the discretion of FPSI. If FPSI cancels less than one month before the event and can not offer a suitable replacement, FPSI will reimburse 50% of actual event related costs that can not be avoided (excluding personnel costs) upon submission of an invoice with receipts. These provisions should be included in any proposed contract. Please call if there are problems or questions about this.